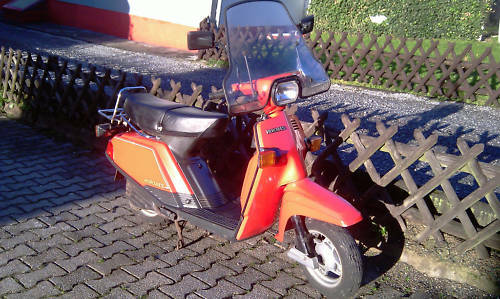 Hi everybody,just want to introduce myself.My name is Michael,47 years old and I'am from germany.I was now looking for a year or so for a Hercules CV 80,and i found one yesterday just down the road in the next village.I'am pleased to find this site and what can i say,it is a great comunity.Anyway i also own a 1962 Ducati Brio 48 scooter,but it needs a bit work to bring it back on the road.My CV80 is a red model and got it's first registration in 1984.Maybe i com back to you the next days and weeks with a few questions. So here i will show you my new Hercules CV 80.It has 15000 kilometr's on the clock.What do you thing? I like the windshield, I used to have one also. Yeh the windshild was a rare option,never seen one here for sale before with one mounted on.Next sat i will have a look on everything and then get to the MOT office,get it inspected and hopefully back on the road. Nice Welcome to the site. I see you like to paint,,,lot's of things. 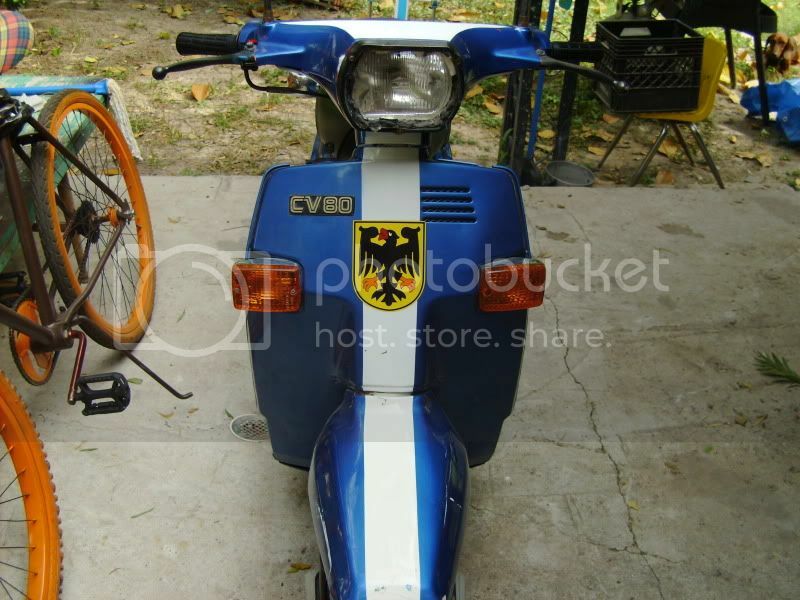 With a german eagle on the front.Is the blue original? No paint job is aftermarket. It was left over paint form a camaro. I also had the seat reapolstered. 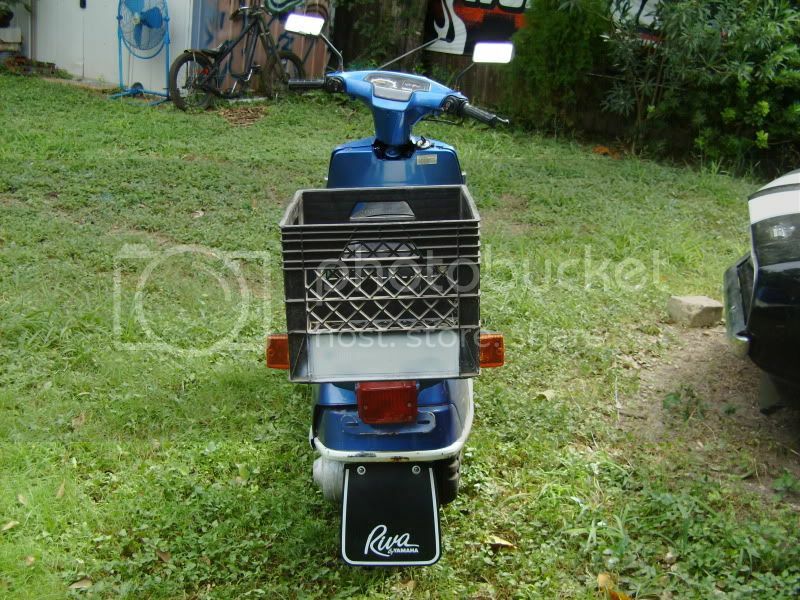 Good job done with the seat.What is that for a yamaha moped with shaft drive in the backround? 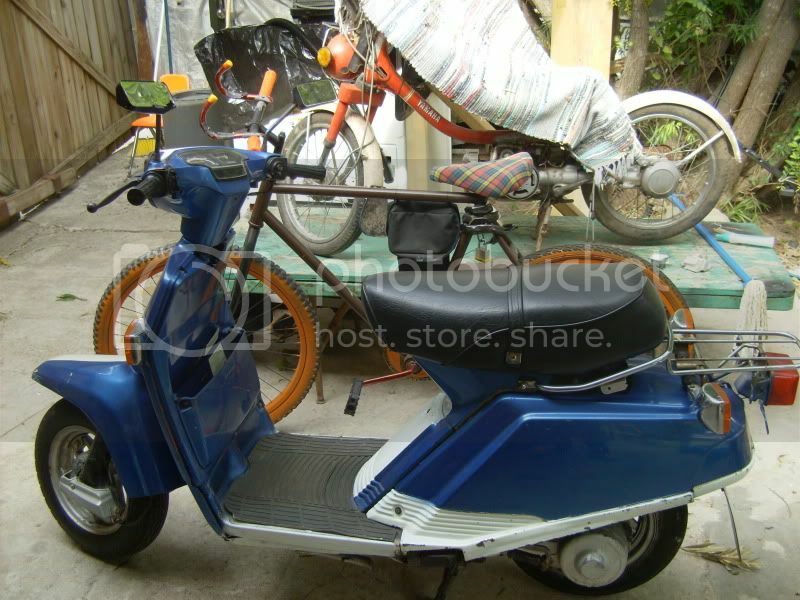 its a yamahopper or qt50 its older, but needs lots of parts and work. Just another project. Today i went to the MOT Office and it was no problem for my scooter to get the certificate for 2 years.Monday i will get my new numberplate. How much did they charge you Duckman? Well for the MOT Check they charge me 38 euros.Then i ringed up the guy from the inshurance office in our village and he told me that the in inshurance per year is 58,11 Euro's.So the next thing they will charge me is when i register the scooter on monday.Papers and the Numberplate.I will let you know how much that will be.Vehicles under 125ccm are tax free in our country,so no tax. 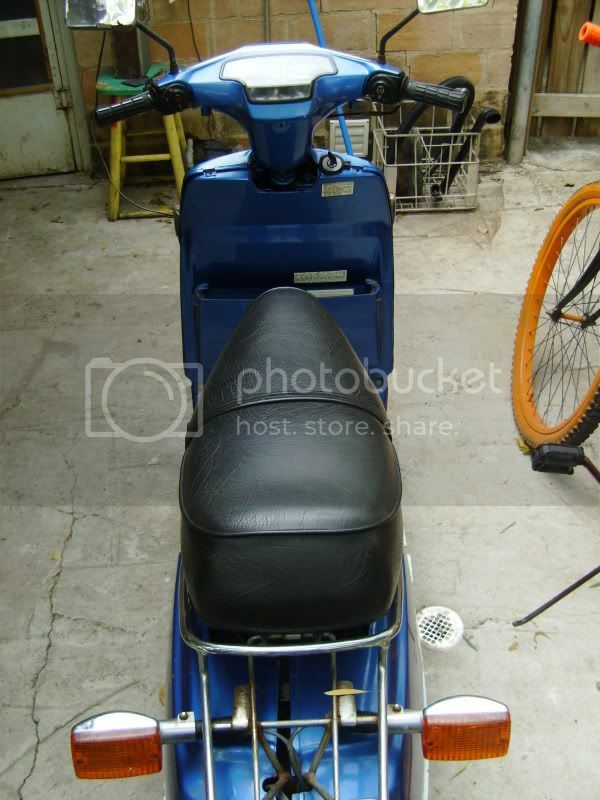 Well today i went to the MOT office and got my Scooter back on the road.New papers(39 Euro's)and a new numberplate(18 Euros)good thing was that i got my initials and my date of birth(moth and day)on the plate.